Lusaka baseed Lawyer Kelvin Bwalya Fube has questioned the ability of the Zambia security to detect and thwart crime. 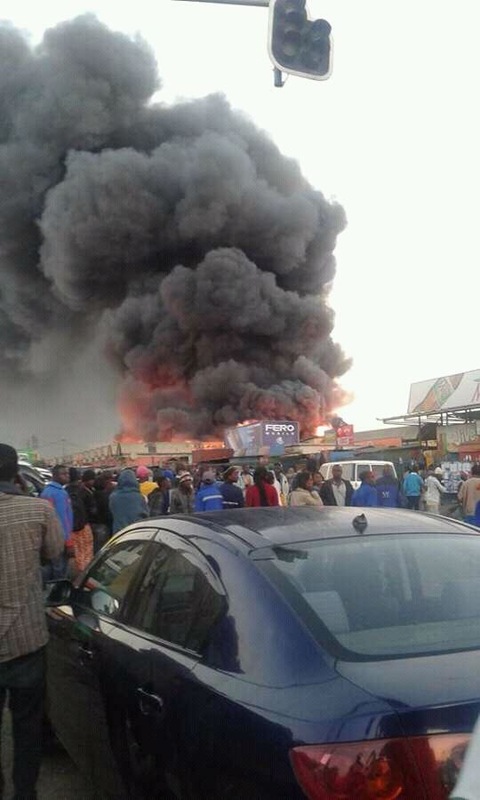 Comnenting on the fire that razed city market, Bwalya who has pledged K50, 000 to victims accused security official of ineficiency. “So I ask and demand on behalf of the Zambian people, we as a nation must begin to demand from our security, accountability and responsibility. Why is it that our intelligence is always beaten up to information? Why is it that our intelligence is not up to scratch in terms of detecting some of these things? Where are the party security personnel? All they do is run around chasing monies at the airport when the president is flying around, why are they beaten to such information when things are happening right under their noses, what are they doing? Can they justify their existence. We are a very frustrated people today, we are very angry people today, we as Zambians are very tired of this violence,” said Bwalya.